A community is a social unit of any size that shares common values, or that is situated in a given geographical area (e.g. a village or town). They do commerce, business or service in their community. Do you know about Community radio ? It is a Local radio service. Local people attend this program, however it is talk show or drama. Community radio offering a 3rd model of radio broadcasting; in addition to commercial and public broadcasting. It’s a local broadcasting corporation. It never broadcast from a national radio station. Its history is about 65 years. It started from Latin America. Commercial broadcasters have dominated the U.S. airwaves since the beginning of 1920’s. It Starts against the poverty. But mainly started at 1948, Miners Internet Radio is a station supporting local bands and music and arts. In 1893, with Nicolai Tesla, the development of the radio began. Later scientist Gugliamo Marconi was fascinated by Heinrich Hertz’s. The initial radio was able to sent Morse code messages. The radio saw a surge of use during the First World War. 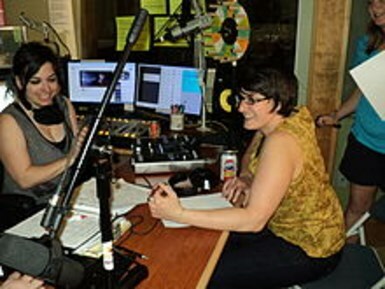 KSER is a Community radio station, licensed to the KSER Foundation. It began regular broadcasting on February 9th, 1991 at 1000 watts with the studio and transmitter located in Lynnwood, Washington. It is primarily listener-supported, which means it relies on donations from listeners for the majority of its operating budget. In South Asia, India’s first community radio policy started in 2006. The campus radio and community radio are now available here. According to 2011 in India and Thailand, about three thousand to six thousand community radio society is working to build. UNESCO, in collaboration with the 2001 poverty-stricken African Mali, Mozambique, Senegal, Asia, the Caribbean region and has been working successfully in community radio. Now a days, It is essential for Bolivian worker. Posted in Achrive, Blog, Gallery, RJ's ProfileTagged Community Radio, Community radio in South Asia, Value of Community radio, What is community?